Almost indestructible case the Rebel is clearly the right choice for cheap cost. mm audio jack fits most audio devices & Smartphones, 46" USB cable. Overall size is 2 1/2 w x 3/4 h. Each unit is individually poly bagged. Price includes a one color top imprint area 1 5/16" w x 1 5/16" h.
add a running charge of $.39 each, no extra setups. Reorders incur a re-setup of $35 and run charge. Logos require factory ready ai, eps or pdf art. I am the marketing director for a local college and I do events all year long at high schools. Of course I have a budget for promotional products and do my best to get the most for the money. I outdid myself (ha, ha) this time. I cannot hardly believe the response by the high school students when I handed these out. 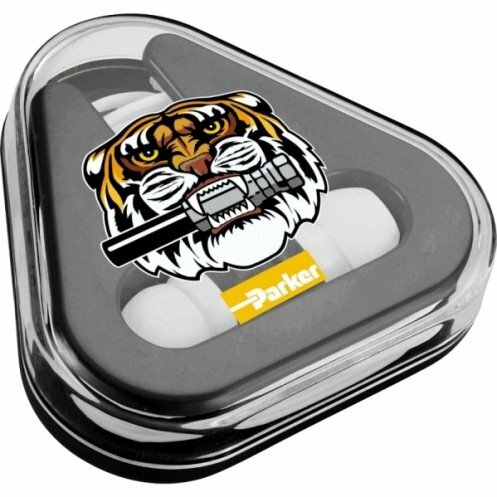 The ear buds themselves are good quality and the imprint was fantastic! Also the service and delivery (one week) was wonderful. All this at a cheap cost. You might say I am very satisfied.